The latest trailer for “Deadpool 2” is out, and it introduces us to the Merc with a Mouth’s pal, Cable – in a NSFW way that only the Deadpool franchise can. This is the first footage we’ve seen of Josh Brolin playing the beloved character, who is trying to better the world from a future he knows is full of pain. 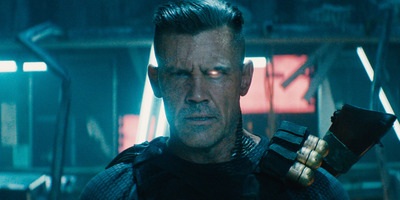 He certainly has the look down, but as the trailer goes on you may notice that not all of Cable’s CGI is screen-ready yet. Saying he will handle it himself, the trailer then cuts to Deadpool playing with a Cable toy and a Deadpool toy (dressed as Woody from “Toy Story” as he yells “Reach for the sky!”). Following some, yes, NSFW banter, the trailer returns – now with Cable sporting a metal arm – blowing things up and fighting along with Deadpool, Domino (Zazie Beetz), and recognisable faces from the first movie. Watch the trailer below. “Deadpool 2” opens in theatres May 18.